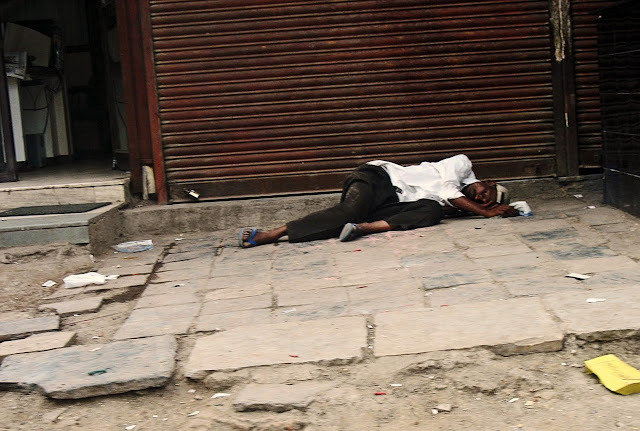 If people are drunk or drugged, and if they are poor, they land up lying on the street in a stupor. Here are some photographs of such people. This man was lying on a pavement in Mumbai. These sights are too common for people to even blink an eye. 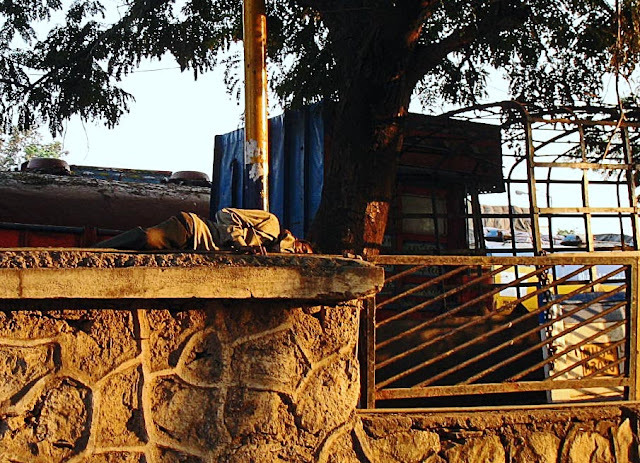 He is clearly not homeless and sleeping, because in such cases the person's belongings are also near him. 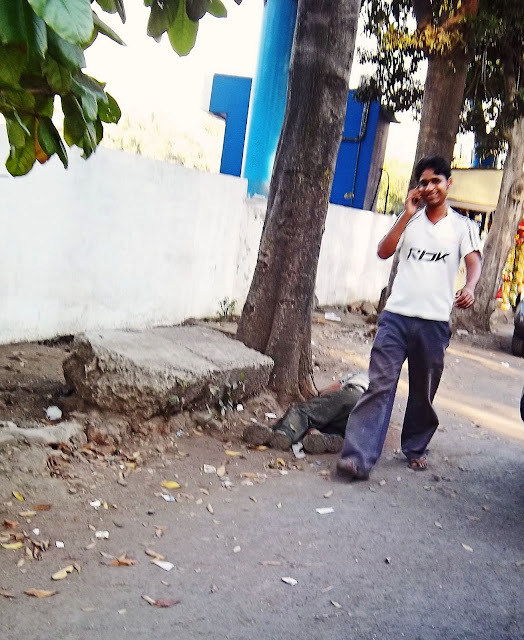 A man lying on the side of the road. He is drugged or drunk. People ignore him, and get on with their life. This is a photograph of the same man. His head is in the dirt and mud but he is hardly aware of it. Another man passed out on the wall. The photograph was taken around six in the evening. He appears to be a trucker so may not have passed out. Maybe he was just sleeping. This is a street kid. 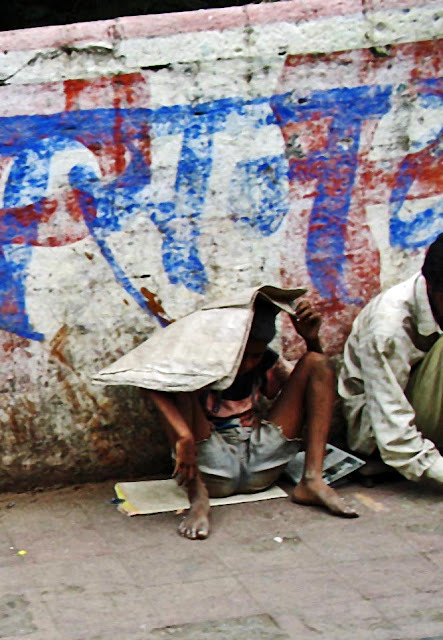 Street children in India are often hooked on to drugs. There was a dazed expression on the boy's face but the photograph is not clear enough. However his posture speaks for itself. On close examination you can see that his mouth is open and right hand clenched. 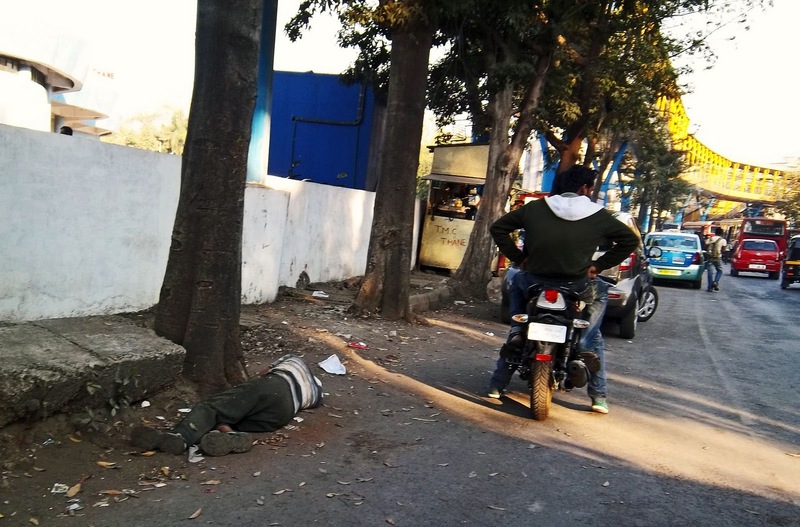 It was broad daylight when this picture was taken, around noon near Sion railway station.